Researchers from University of Queens land have found out that non-alcoholic steatohepatitis (NASH) which is a type of fatty liver disease can be cured short bursts of high-intensity exercises. NASH is strongly linked to Type 2 Diabetes and cardiovascular diseases. Researchers say that weight loss is the only useful remedy to for improving NASH as high-intensity exercises reduce the liver fat in adults with obesity. They also claim that such kind of exercise is safe, feasible and effective therapy for improving the insulin resistance and other cardiovascular disorders. One-third of Australians suffer from Non-alcoholic fatty liver disease and about 30% of them progress to NASH which shows significant impact on most of the people. 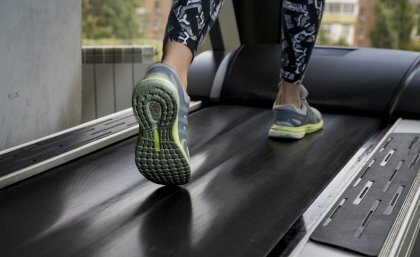 Researchers studied people by giving sessions of High-intensity interval training (HIIT) where the sessions include a short, intense bursts of exercise – around four minutes on a treadmill or exercise bike at near maximum capacity - interspersed with more moderate exercise under the supervision of a physiologist. The health measures like insulin sensitivity, body composition, vascular function, and fitness are assessed before and after the sessions. Researchers find significant improvement in these people and suggest to continue with HIIT in the long term.